Veterans Affairs officials will launch a new advisory board to review department benefits to find ways to simplify the current process and cut back on bureaucratic costs. “They shouldn’t have to constantly be refiling claims to get what they deserve,” Shulkin added. 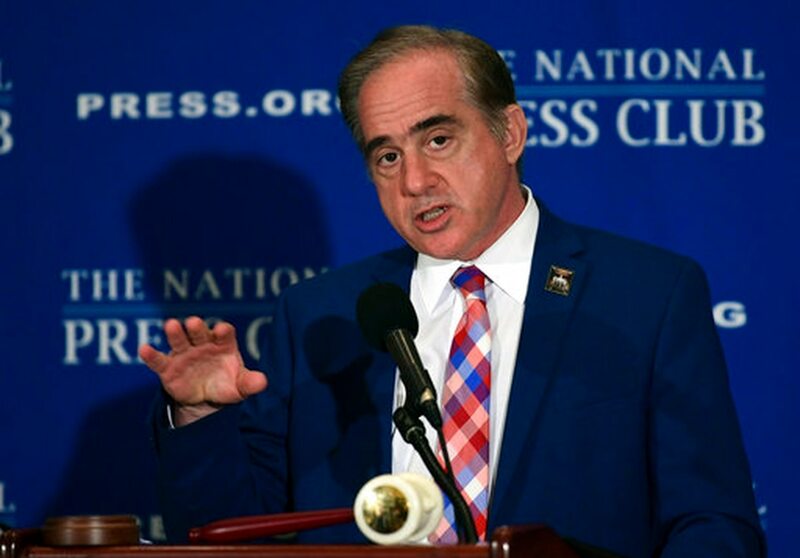 The comments come amid ambitious VA health care overhaul plans that Shulkin has been promoting for months and could represent another dramatic change for the future of the department. The administration’s budget plan for fiscal 2018 calls for nearly $108 billion in mandatory spending for veterans benefits, including things like disability compensation and education payouts. Shulkin insisted the goal of the new review is not to reduce those costs. The median age for U.S. veterans is over 65, according to VA statistics. Department officials have said that an aging population creates more strain on its health care and benefits programs. The specifics of what the review could produce are unclear, and any large-scale changes to the benefits or the application process will likely require congressional intervention. Department officials have unveiled a series of new claims processes in recent years designed to cut down on the months or years that current cases average. But Shulkin still called the current setup “adversarial” for veterans and said he wants to find ways to simplify it further. VA officials are currently searching for a permanent appointee for the department’s undersecretary of benefits post, work that began last spring but has not yet produced any public names.